One of the most exhausting aspects of being a small business owner is navigating the sometimes overwhelming number of credit card offers. How do credit card companies define “purchasing power”, does your small business really need free airline miles, just how flexible should the credit card be? If you’re a small business owner, all of these questions can have you ready to use cash for the rest of your life. Before you resort the less impractical option, we’ve done our own homework on the Ink from Chase credit card. Because it’s designed for small to medium sized business owners, we wanted to know if it really served its purpose. One thing we noticed from the beginning is Chase offers a flexible spending limit on its Ink Bold charge card. The difference between charge cards and credit cards is that the business owner must pay the balance in full each month. This is good in that it makes it an interest free card; however, you don’t have the option of making larger purchases and then spreading the payments out over a few months with the Ink Bold card. Not only that, but the flexible spending limit is reviewed “often” (per the fine print) by Chase to ensure you “have the spending power you need”. You could easily find your limit increased to something far more than what you need and if you’re not entirely disciplined, it could put you in a tough position. This is another perk that if you use it, it’s great, but if you don’t, it’s really not a strong incentive to choose this particular charge card. On the Chase Ink Bold and Chase Ink Plus, your travel points are “25% more valuable than American Express Membership Reward Points”. You can also transfer your points to any participating frequent flyer programs. Further, the $99 fee for Priority Pass Membership is waived, meaning you have access to the often-exclusive airport lounges (about 600 in more than 100 countries). For those who provide employees their own credit cards, the Ink card allows business owners to set spending limits for any or all of the additional cards. Not only that, but these employees can easily print expense reports from the website to submit with their travel documents. This is great for those businesses with a travel department. Cardholders have 24 hour access to customer service and of course, the Blueprint program, which has been very well received, is part of the package. Business owners can set their alerts, such as when a purchase of more than $500 is made or if charges are made outside the U.S.
As mentioned earlier, there are several cards within the Chase Ink family. The Ink Bold is a charge card and these card holders will also enjoy $100 cash back with the first purchase that equates to 10,000 points (which never expire). The annual fee, which is waived the first year, is $95 and this card does not offer a balance transfer. The Ink Ultimate Rewards card has a variable rate between 13.24% and 19.24%. The intro APR is 0% and because it’s a credit card, allows balance transfers. There’s also no annual fee and limitless reward points. The Ink Cash Business has the same APR rates as the Ink Ultimate with no annual fee and an introductory 0% APR. These cardholders enjoy 3% cash back on fuel costs, office supplies and other purchases. 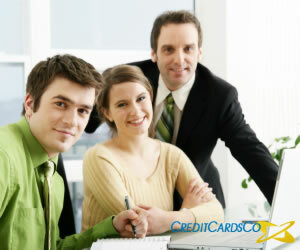 As you can see, there are many reasons that make this an ideal card for many small business owners. That said, if the perks aren’t any that you would take advantage of, you might need to do your own “pros/cons” list to ensure it’s best for your specific needs. Comparisons are always advised; after all, if your choice has options you’re not even aware of or that you don’t incorporate into your business, then it’s likely a better business credit card exists.